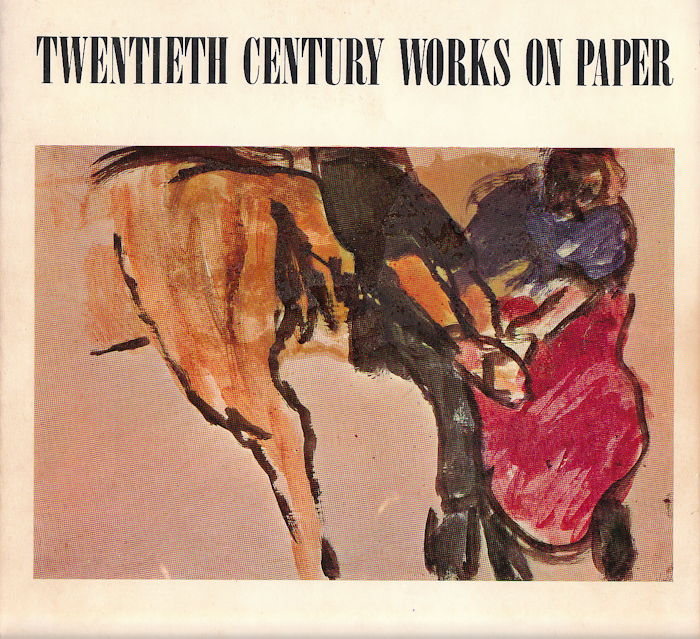 This 1968 joint exhibition by Universities of Irvine and Davis is a “visual anthology of intimate works on paper by artists who have contributed in a significant manner to twentieth century art." Its purpose was to allow viewers the opportunity to “study and compare” the featured works “for an insight into the process of visual thought” and to contradict the popular idea the twentieth century art moves in a linear fashion. The exhibit does this by putting the greats such as Braque, Klee, and de Kooning in contrast with one another, and shows how their different styles, influences and techniques make use of the same medium—paper.